Bridging theory and practice, this book contains over 200 practical exercises and their solutions, to develop the problem-solving abilities of process engineers. The problems were developed by the author during his many years of teaching at university and are kept brief, taken from the fields of instrumentation, modelling, plant control, control strategy design and stability of control. The algorithm flows and codes, which are mostly based on MATLAB®, are given in many cases and allow for easy translation into applications. 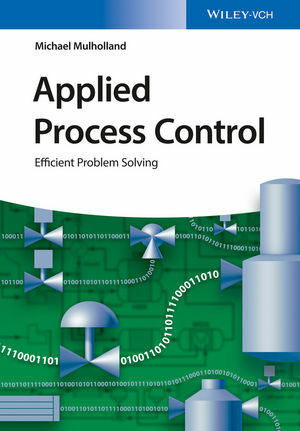 Since the text is structured according to "Applied Process Control: Essential Methods", all of the necessary background information on the underlying methods can be easily and quickly found in this accompanying book. Michael Mulholland has been Professor Emeritus of the University of KwaZulu-Natal (South Africa) since 2012. In 1977, he started his career as senior technical officer at AECI, an explosives and specialty chemicals group located in South Africa. In 1982 he became lecturer and later Professor at the University of KwaZulu-Natal, a position he held until his retirement. During his time at the university he was the author of several consulting reports and manuals for the chemical and petroleum industry. He is a member of the South African Institution of Chemical Engineers, the Institution of Chemical Engineers (United Kingdom) and a Chartered Engineer (United Kingdom). Having worked in industry and with over 30 years of teaching experience in process control, Mulholland knows exactly what a graduate process engineer needs to know to work effectively in industry.